Yes, that is good to know. But my line of questioning is regarding increasing the digging skill. Does that 'vein' digging raise my skill any? If not, I do plenty of single block 'digs' to make up for it. Use command "/getattribute iblis.digging" and check values before and after you dug vein. Good news for me. The answer is yes. I get skill increase for the whole vein from what the math indicates. Thanks. Could Iblis recognize a sprint toggle key for the sprint/jump feature? I use 'BetterSprinting' mod for its sneak toggle. It also gives the option to assign a sprint toggle key. So far I've only been able to get Iblis to work if I set the ctrl key as the toggle key. Just wondering if Iblis could recognize a different key. An easiest way to implement "Better Sprinting" would be adding configurable "toggle-always-sprint-with-sprint-button" feature to Iblis. Do you want it like this? That would work, if you don't mind adding it. Done. Use "toggle_sprint_by_sprint_button" config option. is there any chance that this mod will not break "Keeping Inventory mod"? evrytime I died I drop all my stuff but I have keeping inventory mod installed I tried gamerule keepinventory but nothing happen. 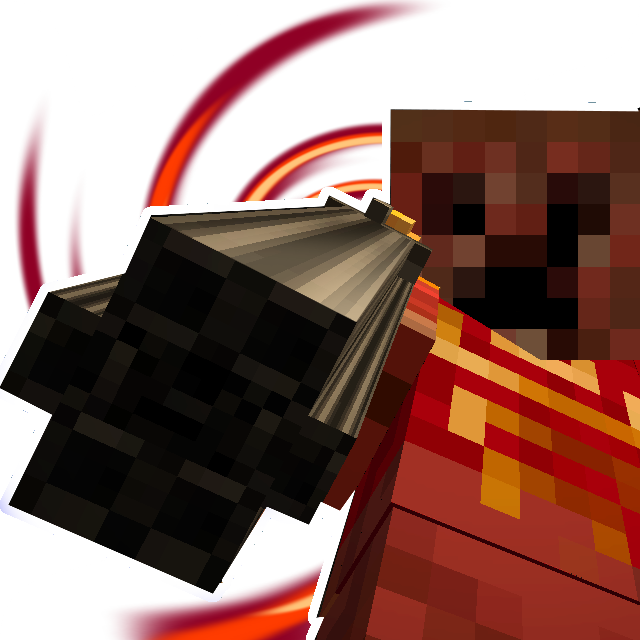 Load Minecraft. Open "Mod options..." from main menu. Select "Iblis" and press "Config". Set "spawn_player_zombie" to "false" and press "Done". After world loading type in console (in-game chat): "/gamerule keepInventory True" without quotes. I realy HATE nuber 5 that is why I have keeping inventory installed. In that case do only from 2 to 4. I will take a look at this mod. Done. 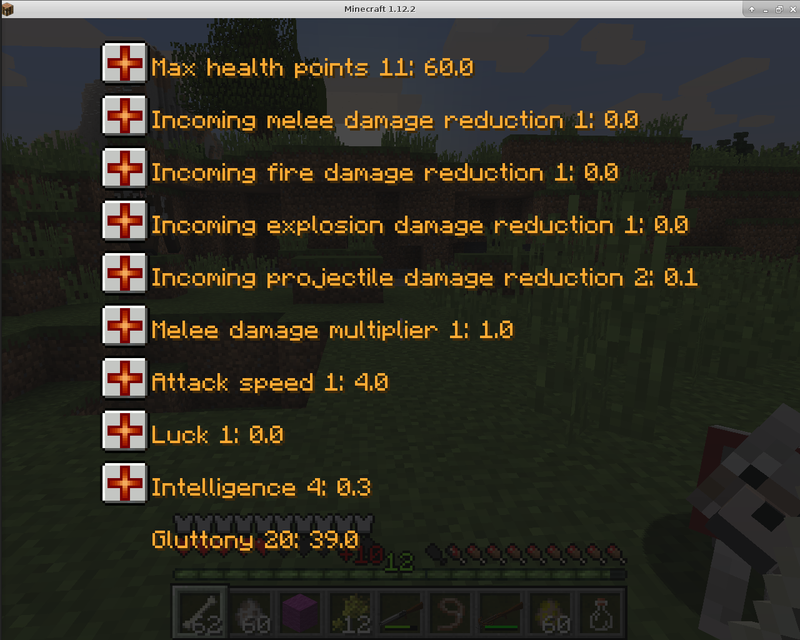 Added "magic" branch of skills, which will affect damage and range of some spells. Could you alter the durability of items? Could skill levels potentially alter the durability of the items crafted? I can set non-zero damage of crafted item if skill is too low to craft them. 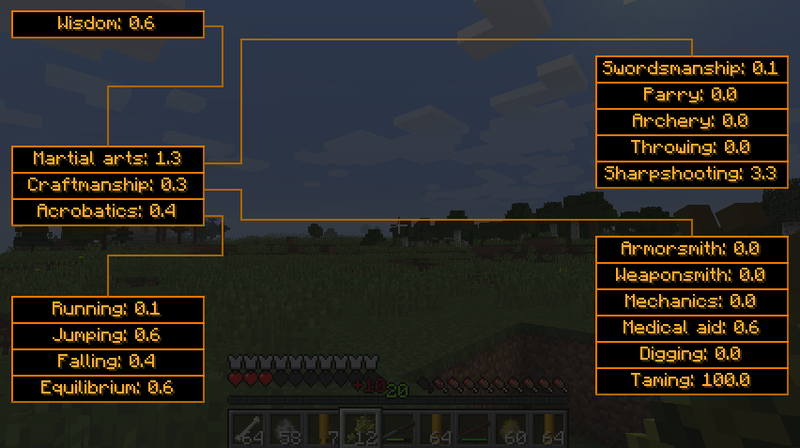 For example I could set damage of a diamond sword to 99% when player have a weapon crafting skill level equal to 0. Making them more durable would be much harder. Would you like it that way? Current durability is set by the material used. Just wondered if crafting level could influence that number. Granted a low crafting level would need to lower the durability number. I've been looking at Reskillable and Compatskills and see the gating that can be done based on skills. But all their skills are raised with xp rather than use. Your Swordsmanship might could limit what items can be equipped if not high enough. Or as you said, if skill is not high enough the item doesn't do much damage and you'd want to use one that does until the skill is high enough to make the item of value. Might have to use a wooden sword till skill is high enough to use stone etc. Just doing some thinking. I don't think I have any thoughts to inspire you with at the moment. If durability (or max item damage) was stored in ItemStacks instance, then altering durability would be very simple. But it is stored in Item instance, therefore if you alter durability of item, you will alter durability of all ItemStacks everywhere. ItemStack contain info about Item, current item damage and custom NBT data. Item contain only info which is constant during gameplay. Player can have a several, for example, stone swords in inventory. All of them is different ItemStacks. All stone swords in a game, including damaged and enchanted, in chests, in mob hands and in player inventories is a single Item. Can you take it out as a simple mod?